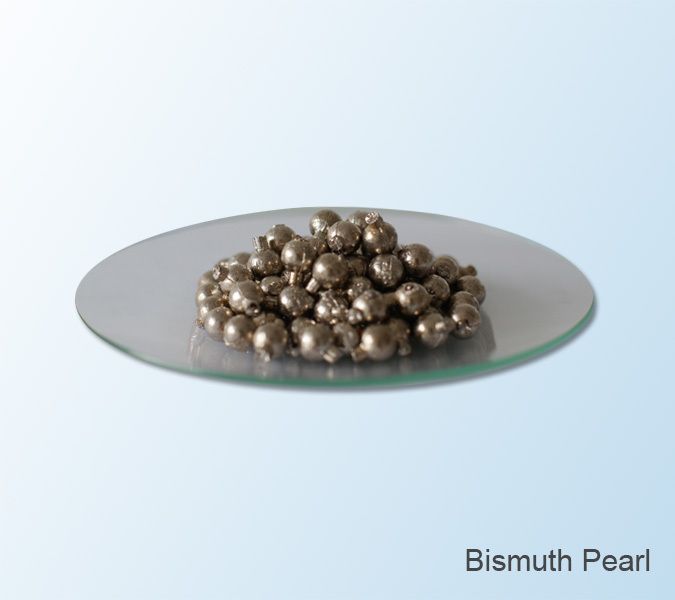 Bismuth Pearl | Zhuzhou Keneng New Material Co., Ltd.
silvery white with rose gold, brittle ball, Dia: 10mm, 20mm. packed in bags of 5kg or 25kg net each. mainly used in the production of bismuth compound and its processed products, also as raw material for medicine, chemical reagent and pigment.